Carvajal+Ceballos for Sule. Duo or Sule? No. Carvajal is arguably the best RB in the world playing in the best team of the world. The lack of high rating players in that position makes it a keeper while you will find high rated CB (can play in both sides in a 4 defenders formation) way more easy. My short and sweet reply addressed Punch's post. It's a simple statement of fact, not even a moan, nor is saying water is wet or the ball is round for that matter. Croatia weren't the best team either, as was made clear in the KO rounds (still their 3-0 win over Argentina in the groups 💪). Would it have ruined your romantic view of the 'joy of sport' in case a 4m strong country had won their first star? Of course not. At least you agree that France weren't the best team in Russia (= exactly the extent of my post). Turns out there isn't even a point of contention in here. I'm not from Portugal but they are indeed a likeable bunch. Especially after winning a title which lots of arrogant frenchies thought they had some sort of divine right over (and then trolling them hard). Frenchies trolling Croatians OTOH, not a good look. I don't even mind frenchies being arrogant, they can't help themselves really, but it's their lack of hygiene that's appaling. It is said that the french coq is the only animal that is proud to stand on a pile of manure (that's more about their often unwarranted arrogance though). Croatia OTOH is a lovely country with very nice people. A much better holiday destination than the South of France, which is dirty and basically falling apart. Until the end of the year, can Golovin and Lozano rise? My short and sweet reply addressed Punch's post. Not even the best team in Europe. Portugal are the current European Champions after all. Pro-tip: the best team doesn't always win. No need for me to respond to the second paragraph but what exactly did you want people to make of your first post? Turns out that we are in agreement for the most part but how was I meant to know that when your initial post just reeked of bitterness? Are we meant to go by the logic that if a team from Europe beats numerous teams also from Europe, on the way to lifting to the world cup, they are still not the best team in Europe? We should go back an look at what happened 2 years ago to decide right??? Where's the bitterness (pro-tip, it's only in your head). Next time just say: "U mad". "reeked of bitterness", come on try harder but thanks for the laughs. You still seem to struggle with the idea that the team that lifts the cup wasn't necessarily the best team in the tournament. If it's so easy for you to say it about Portugal when they won the Euros, why are you now running to France's defence? Are you a frog or a frog bandwagoner perhaps? "numerous teams also from Europe"
Why embellish? It doesn't make for a stronger argument. Quite the contrary. A dysfunctional Argentina and Cavani-less Uruguay aren't from Europe. TBH the scoreline flattered Argentina but they're still not European (and Croatia were better when they played the argies). France played 3 and won against 2 UEFA sides, yes that's plural, however calling "2" numerous is a bit much. France weren't really impressive in any of their games, starting with scraping through in the opener against the lowly aussies until the end. On the whole, the quality of play in Russia wasn't great but regardless it was a very amusing World Cup. My point from the start has always been the same. Regardless of who may have been the best team, it always comes across as bitter when people decide to take away from the winning team/individual in any sport (especially when it's not even 24 hours later). I imagine you haven't really competed much in your life, if you don't really understand the premise of 'the best man won'. I never said that I believed France played the best football but I have no problem with them calling themselves the best team in the world (for now at least) after winning the biggest tournament in international football. For the same reason, I also had no problem with Portugal saying they were the best team in Europe after 2016. On another point I'm intrigued to see who you do currently think the best team in Europe is. It's not France apparently so...? 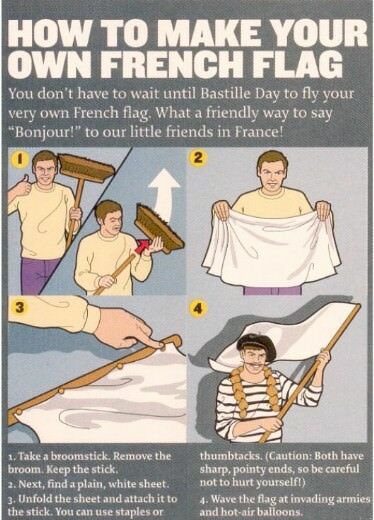 Whether its tongue-in-cheek or not, you seem to have some kind of problem with the relative success of the French. I haven't got a bit of 'frog' in me but I personally find it just as hilarious to hear people like you moaning commenting on their apparent weaknesses now, as I did to hear the bitter non-portugal fans after euro 2016. "Not even the best team in Europe"
"A dysfunctional Argentina and Cavani-less Uruguay"
Anything to take away from the fact that they beat some top sides haha. If you don't 'reek of bitterness' then maybe u just a h8r? *I have no problem saying that the word 'numerous' may have been a mistake on my part but it doesn't really change anything. They still beat 6 of the 7 sides put in front of them, two of which were top European sides. The fact that the majority of your response was focused on that one word, shows you're missing my point entirely. Only if they move to the big 5, or else Russia and Netherlands next review will probably next year. @1000dB Don't bother with that nofoff guy, if someone has a different opinion is always a hater or bitter or delusional or ignorant. Can't or won't see nor accept others point if it's contrary to his. Take your own advice and pm me, instead of derailing this thread. Thanking you in advance for the laughs. Kill-joy, we were having such fun. Carvajal's had an average season, he's not the best RB in the world. Note how he's stuck on 93 while Casemiro & Varane got bumped to 93 last upgrade. There's a reason for that. What value will Sergio Busquets drop to? He's just turned 30 so I'm assuming he'll drop from 44.5m soon... & how long will it be til he drops? A few weeks? Apologies, one final post to show how Brussels feels, where I'm from. Congrats Croatia. No need for riots, Paris, it's supposed to be a celebration. Those are the players I made an offer for, I'm pretty happy with those ones. Do you think I should change any of them with someone else? I'm not sure about Merè, maybe I can change him with Riedewald, who do you think is better? Do you know any other player it should be worth to made an offer for? In my opinion, Sessegnon is a must buy, Barella, Ndidi, Sarr are good buys too. You would find better U21 players but it always depends on what you have available on your GW and that i don't know, De Ligt, Aouar, Dalot for example. He will drop maybe just 2M like Aguero. So his new price would be...42.2M.